I’m back with Martin Yan’s cookbook. A different one this time – Martin Yan’s Asian Favorites. 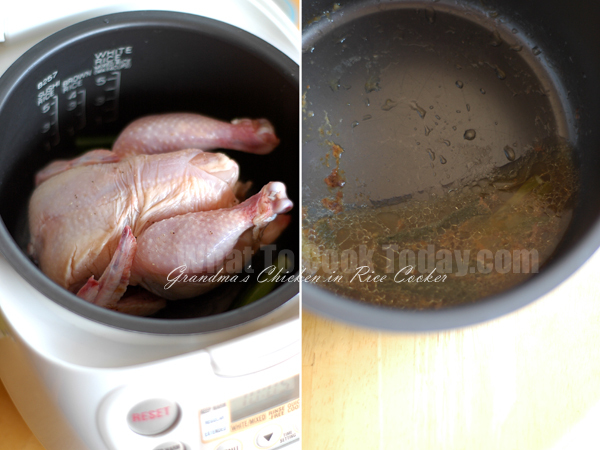 When I saw this chicken in rice cooker, I knew immediately that I gotta try this. I used rice cooker almost everyday for rice. Huh…actually you know what, rice was the only thing I had ever cooked with the rice cooker. In China, a chicken (or game hen) in every rice cooker is a sure sign of prosperity and of a great dinner to come. Rice cooker is no longer a luxury these days, it’s a necessity in Asian kitchen. If you own a rice cooker and want a delicious and tender chicken, I encourage you to try this recipe. It is guarantee to impress. 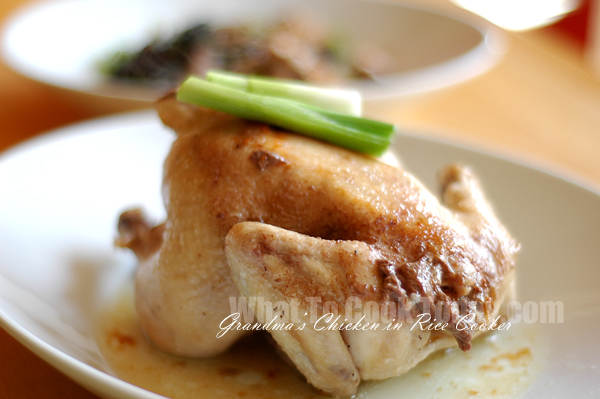 It’s almost like Hainanese-Style Chicken, but much easier and taste just as great, if not better!